The point in my life where grammatical errors used to annoy the living day lights outta me. Now, not so much. But there is something I have found on the internet, mainly on social networks, something that annoys me dearly. A grammatical error that people are repeatedly making. (Yes, another grammar post. Scan this article all you like for my own grammatical errors, I really don’t care). You know why I don’t care? Because mistakes happen, no one is immune to them. Anyway, I see a lot of people repeatedly mixing up the word ‘Woman’ with the word ‘Women’. If you don’t know the difference, here is some assistance. 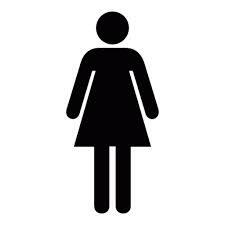 If it is singular, you call her a woman. If it is plural, you call them women. Yes I absolutely HAD to write this. Not only because it bugged me, but people look better when they don’t make silly mistakes. Previous postArticle 64 – Chain Letters – Why Bother?